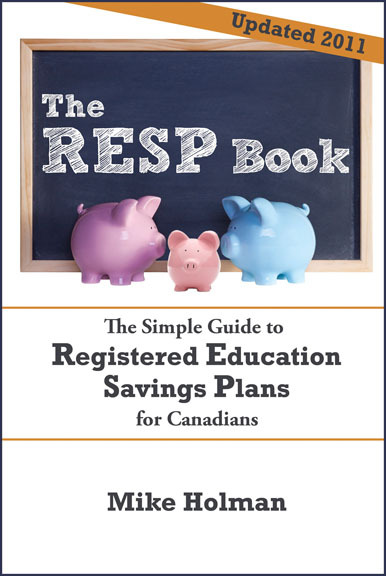 ﻿ The RESP Book 2nd Edition Is Out! 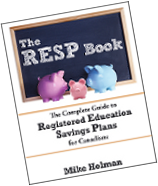 The RESP Book 2nd Edition Is Out! After (what seems like) years of talking about it, the 2nd edition of The RESP Book is finally available. I’ve added a couple of chapters, fixed a few typos, updated a few things and even fixed a couple of errors. Before you start taking out your chequebooks, I should warn you that although there is some new material and a lot of small changes – if you have read the first edition, it is not worth buying this edition. The new material is available here on the blog and none of the corrections were major. If you know anyone who might be interested in the book or is in a position where they can let others know about it – please let them know about the book. I can provide free review copies if appropriate. I’ve created an affiliate program for the book, which means that if you can get other people to buy the book using your Amazon associate link, I will pay you money. Email me for details – mike at MoneySmartsBlog dot com. Note that you don’t need to have a web site to sign up for the Amazon associate program. This page indicates all the changes I made to the book and at the bottom you can find links to the new material in the book. I will definitely let people know about this. Great stuff Mike, you should be proud! Will spread the word on my blog over next couple of weeks.